I more than understand the tough circumstances Scott Gordon has had to deal with from virtually day one of camp this year. This man came here without an assistant of his own or a long-time associate and had to teach his assistants with his players. At his press conference he talked about the Stanley Cup and winning now, he was questioned by some in the media for it, he sounded very much like a man with all the answers as camp opened full of confidence. To his credit Bill Guerin and Doug Weight have praised this coach top to bottom. Having written this I wonder if this coach from his system (which he said he made adjustments) is the right one for this level? He's made a few glaring mistakes in games adjusting, the Frans Nielsen non-response against Mike Mottau/Devils was unconventional and brutal. He played Okposo on left wing and still has him there on the powerplay, he demoted Comeau and in effect Nate Thompson took his roster spot if not his position. The third period leads lost are a big part of the story too in terms of in-game strategy. A few postgames he has seemed out of focus with some comments, not remembering plays for goals or one long five minute answer after a game to where the person afterward said they forgot the question the coach had spoken for so long. He was tough on Yann Danis yesterday like he has not been on other players who have made repeated mistakes at least in print and Danis deserved some criticism but so did the team defense for all the odd-man rushes and breakaways Danis stopped. Not to hit this very hard but to date he has not singled out other players this way when some deserved it. On the prospect front I do not see anything better or worse from Blake Comeau from a year ago, I expected improvement and the same goes for Bergenheim. Frans Nielsen was playing fantastic before his injury. Tambellini is getting more adjusted every game with slow progress. Early season projections were Okposo should have more goals and point than he has, Scott Gordon admitted a mistake making him a left wing. If Nate Thompson and Tim Jackman are here because this coach wants them to become NHL talents who can score that's not likely and a bad gamble, it's like trying to force a top six spot on Richard Park who is doing a very good job but his career record does not lie. I get it with all these injuries, it's beyond comical and like nothing I have ever seen in my time as a fan and has made for a lost season. I cannot imagine how frustrated management and Scott Gordon must feel. Last year's team was in the lottery and three games under five hundred, the 05-06 season was four games under. The 2008-09 are SEVENTEEN GAMES UNDER FIVE HUNDRED. In a league where you pick up points in eight or nine games just by losing this is beyond brutal, a yet they are almost never blown out of contests. They have been more than competitive even without scoring lately which begs the question how come they cannot win a few games? 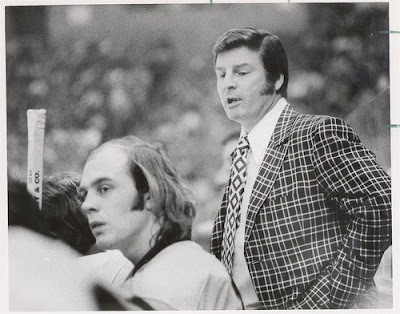 Bill Torrey fired his first coach (Phil Goyette) in 72-73 and did not keep Earl Ingarfield. My speculation is because of what happened with Ted Nolan, Garth Snow does not have the same luxury, nor should he. I could be dead wrong but I cannot shake this feeling Scott Gordon is not the right long-term coach, it goes beyond the record. So many in the AHL and NHL praised his hiring.